make it perfect: .Poppy Tunic with Liberty + Giveaway winner. 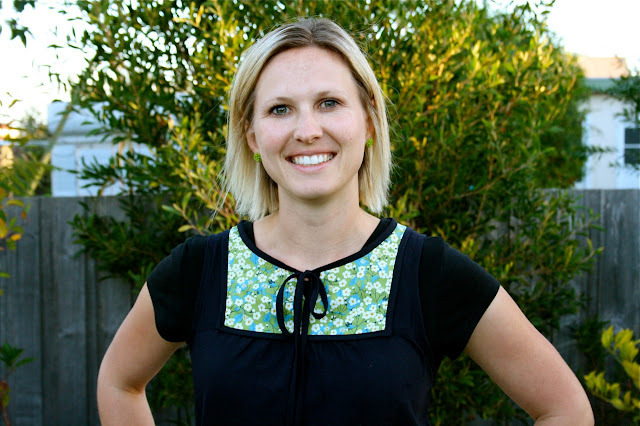 .Poppy Tunic with Liberty + Giveaway winner. Ah, these Poppy Tunics...they are becoming a very addictive sew! I made another two yesterday - one for me and one for Chelsea. We both wanted black, so I bought some Kaffe Fassett shot cotton in "Coal". It looked black on the screen, but when it arrived it turned out to be a very dark navy. So I dyed it using some black Rit fabric dye (using the washing machine method inside the packet because I had so much fabric to dye). It went pretty dark, but not the blackest of blacks. Still has a slight blue tinge to it but only noticeable if you are looking for it. Chelsea got an all black tunic - it looks really funky, has all the detail of the tunic but with no pop of colour. I was planning on an all black tunic for myself too but I couldn't say no to this lovely Liberty of London print I've had stored away for a special project. I really shouldn't have bought it because now that I've sewn with it and worn it, I'm hooked. Will definitley be saving up for some more of this stunning fabric in the next few weeks. I'm thinking of making a tunic using a small-scale Liberty print for the main part of the tunic and a solid for the chest and hem pieces - what do you reckon? I should also mention that I added an extra 3" to the length of this tunic because I wanted it to hit just above my knees. The shot cotton is perfect weight for the tunic, I do promise to blog more info about it next week. For those who have asked what fabrics are best for the tunic, so far I've tried with cotton voile, linen and shot cotton - they are all lovely. Anything with a softer drape will work well. 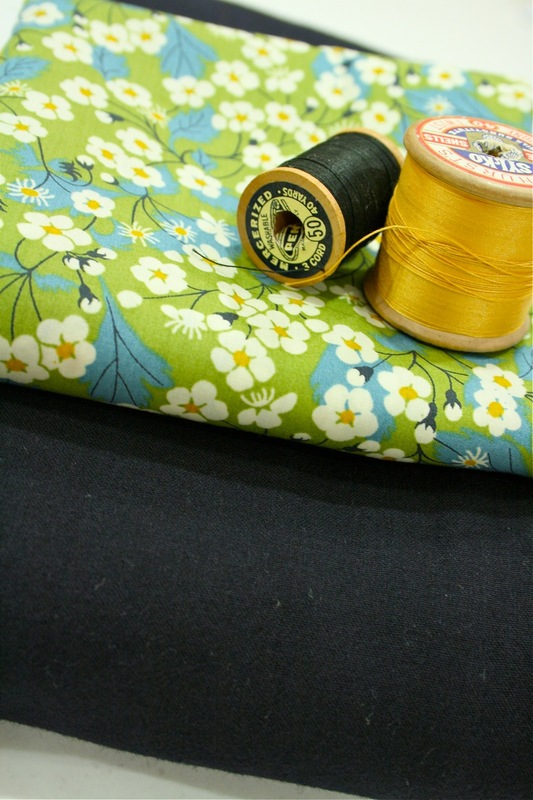 A regular quilting weight cotton would work, but will be a little stiffer than these fabrics. Although with a bit of wash and wear it would definitley soften down a bit. One of my testers made hers using a ponte knit fabric - it looked awesome too! Now, before I forget - I've drawn the winner for the pattern giveaway - congratulations Meika! I'll send you an email with more info! I actually was going to make mine with the print as the main fabric and then plain fabric for the contrast but I didn't have enough of the Sandi Henderson print. Give it a go - I would love to see how it turns out. Looks great Toni. I think it woulod work well with the pattern as the main colour, but you would want to go with a more neutral colour or lighter colour for the insert piece I think...or I've noticed mixing patterns is very in this season as well, so you could do it in two patterned fabrics too. You look fabulous too by the way. Your hard work has definately paid off!! Thankyou!! I can't wait to sew this pattern...off to browse for fabrics! Truly lovely tunic. 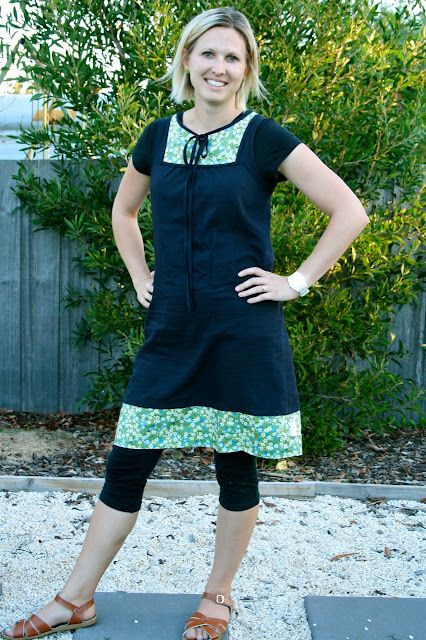 I love sewing and love this tunic blog. I design tunics for Yours Elegantly especially plus size tunics. Yours is pretty up there!